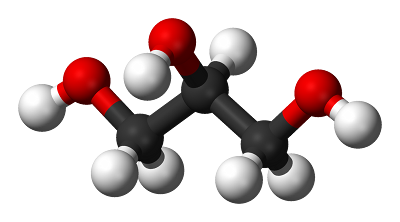 Vegetable Glycerin in Electronic Cigarettes: Is it safe? Paul Bergen, from tobaccoharmreduction.org, examines the safety of vegetable glycerin, an alternative to propylene glycol as the principal ingredient of e-cigarettes. According to CanadaVapes up to 20% of the e-liquids on the market are vegetable glycerin (VG) based. 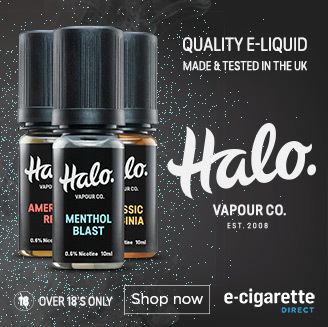 What is most pertinent for health-conscious vapers is the knowledge that while VG is not the same as Propylene Glycol (PG), the dominant vehicle used in e-cigarettes, it has a similar risk profile. Like PG, vegetable glycerin has been classified as generally recognized as safe”. And like PG, this product has numerous applications in the personal care field including oral care products. It has also found use as a sugar substitute – which might explain why some vapers taste an increased sweetness in comparison to PG. In regards to health, whether you are vaping a VG or PG based device does not matter. However, there are some differences that could matter from a user comfort perspective. Some individuals who have shown sensitivity to PG (such as sore throat) have found that VG does not have the same effect. One reported side effect that VG can also allay is muscle cramps and aches from PG breaking down into lactic acid (see Right to Vape). It should be kept in mind though that though these symptoms might be uncomfortable they should not be thought of as actual health risks. 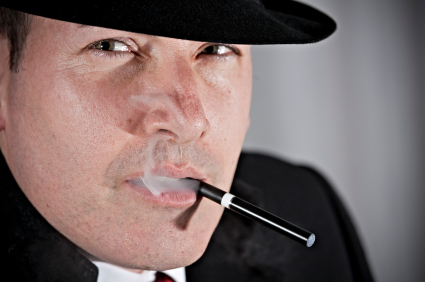 While VG is also known to produce more vapor, oddly enough vapers have reported that it produces less of a “throat hit” . On a practical note, the greater thickness of VG fluid can cause a reduction in the lifespan of the atomizer (though the reduction does not seem that dramatic). So, in summary, though some users might find they prefer one over the other, both propylene glycol and vegetable glycerin can be considered safe components in any e-cigarette product. Health Canada Hypocrisy Revealed: It’s not about the nicotine! I’ve always used VG. I have tried PG a few times because I have friends that swear by it’s flavor. Apparently it has better flavor although I’ve never had an issue with flavor. On the other hand, I’ve read that sometime PG can irritate the throat and for that reason I’ve never bought a bottle. Anyone have similar or different experiences?? Hi VC, I have only ever used juices with only pg or with a mixture of pg and vg, so I can’t really comment. I have shared your comment with some experts, though, hopefully they will have a better idea than me. Hi VC. Propylene glycol attracts moisture to itself which means it draws moisture away from the membranes in your mouth and throat, drying them out. This can lead to sore throat. Drinking or sucking a boiled sweet when vaping pg helps. Agree with Kate, also has some laxative properties. Is definitely more prone to leak around some atty’s. Much more vapour, much more mellow a smoke, dulls flavor a little. To me is preferably 60 VG/ 40 PG mix. Does leave a nice polish to the work bench when I am done. Ah very cool! Thanks for the responses. I hear a lot about people mixing the VG and PG. What flavors are you vapers into? I don’t know what it is about it but I can’t get enough of plain old peach. haha, I keep trying new flavors but never get more than half way through the bottle before I come crawlin’ back. Pingback: 5 Days. 5 Questions. 6 Great Prizes. Day 3 answer is I hope is people can be senstive to pg,muscule cramps and sore throat…. Vg doesn’t break down in to latic acid if that’s spelt right.vg also gives off thicker smoke. VG smells like when you open car radiator – Antifreeze. I smoke it and carry the smell with me all day long. Is it bad? I don’t know. Hi! Can anyone tell me if there has been any RELIABLE research into health risks of PG vs VG? I have tried googling however there is nothing I can be 100% sure of. I’ve been smoking PG for now, however I’m thinking about switching to VG (sore throat). There is plenty of research on PG, not sure about VG. However, it is know that PG can cause dry throats and that some people may be allergic to. It is a reliable resource since it is done by professors with years of expertise on smoking. I was always under the impression that “PG” is a derivative of petroleum? Where as “VG” would be more organic..? I’m a user of the “VG” as i think it should be a little more healthier.. Absolutely, more healthier than smoking tobacco itself. And, using the same method of “vaporizing” cannabis, cannabis oil can also be used through an Ecig? Any extra info on this would be appreciated! Hi, has anyone experienced swelling to face and throat using p g based oils as I have?? Would using v g based oils eradicate this problem?? well some people are allergic to PG however i have never known someone to be sensitive to VG so i dont see why it wont help switching however you would need a subohm device to propery vape VG as it a lot thicker. There is at least one study that has shown VG causes more inflammation than PG, which is alarming. Not a huge scale, but that can be said for most of the data we have from such studies.